You’ve probably noticed that some website URLs start with HTTP or have changed to HTTPS. Most people understand that HTTPS means a more secure connection, but have no idea what the ‘S’ stands for. Let’s talk about the importance of HTTPS. It’s easy to notice the difference between the two protocols. HTTPS is all about third parties securing sensitive information as well as payment details on a website. This explains why most e-wallet service providers, financial institutions, online casinos, and online shops use HTTPS. HTTPS websites utilize high-tech SSL (Secure Socket Layer) technologies to encrypt information and protect it from hackers. Apart from securing information, SSL ensures the information is not transferred to another place for unauthorized processing. Clearly, you need to look for mobile or online casinos with HTTPS websites because you are required to share your personal and payment info with them. You don’t want to expose your credit card or social security details to the wrong people. The recommended strategy is to avoid online casinos that don’t use HTTPS. You’d rather be safe than regret later. Look at the URL when making deposits or withdrawing money and run away if there is no HTTPS. Also, read casino reviews to learn more about certified and audited casino with HTTPS websites. Such casinos guarantee safety and fairness. Do you always choose online casinos without checking whether they use HTTPS? Are you always looking for online casinos that use SSL encryption? 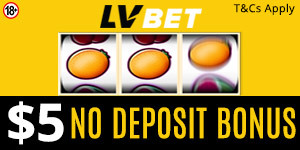 Do you think about the safety of your money when depositing or withdrawing your casino winnings?